Earlier Noah's mom Lori and I were brainstorming locations and the one thing she wished for was snow. This fall in Minnesota has been UNNATURALLY warm. (On my birthday I should have been bundled up under ten blankets with my cat pepper, instead my neighbor was mowing his lawn shirtless. In the voice of my father "UNNATURAL!" So needless to say it has been unseasonably warm.) I think God heard our conversation because the night before Noah's session it snowed. 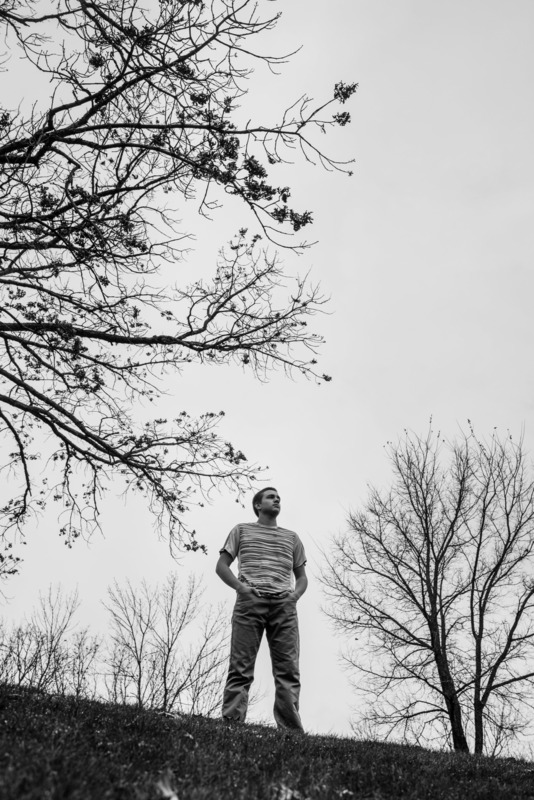 Working around basketball practices and work, we decided to do a sunrise senior portrait photos at Cherokee Park! 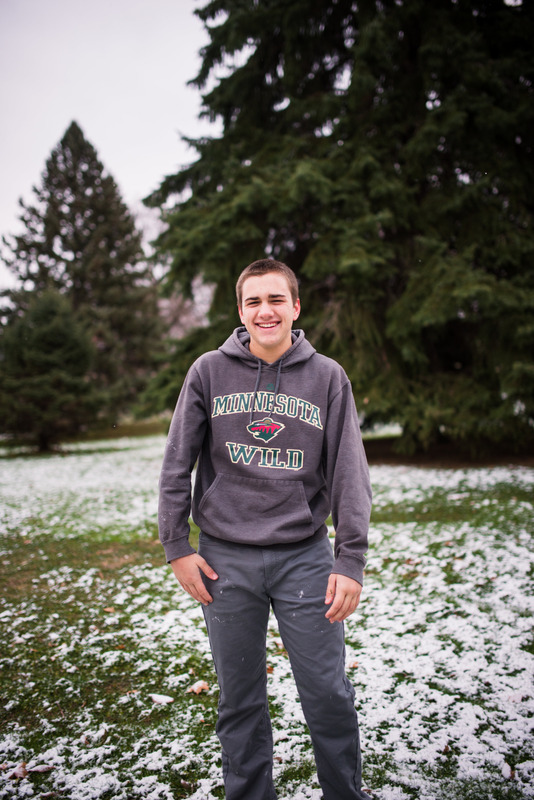 We drove along the side roads of Cherokee park and Baker's park for Noah's St. Paul senior session. Noah choose parks that he and his siblings often played at growing up. 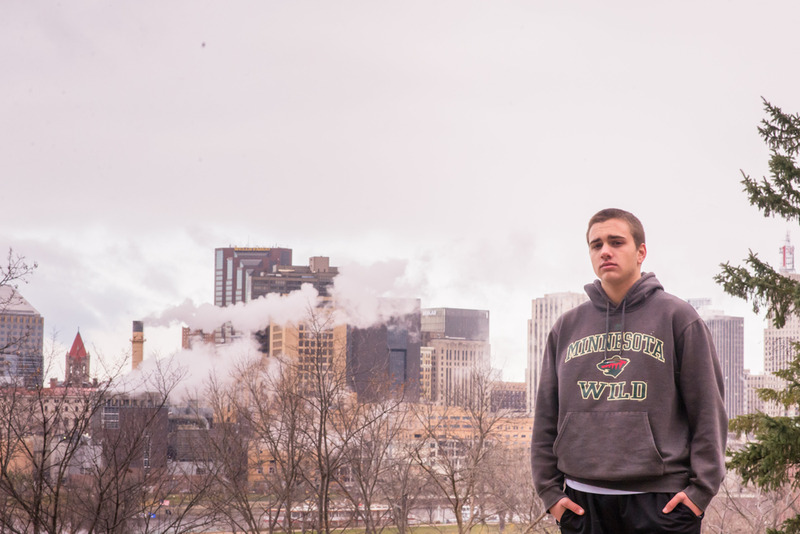 Although 23° F is not ideal shooting weather, Noah embraced it like a champ! 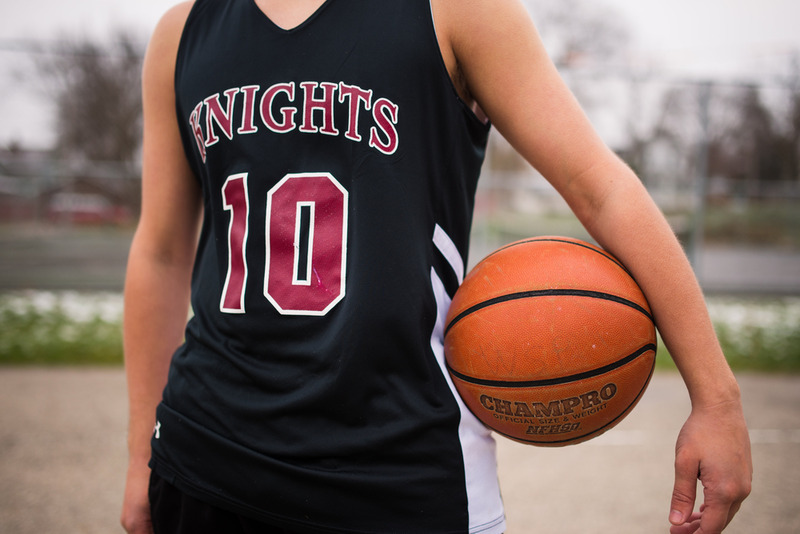 Noah is schooling his senior year at Inver Hills Community College and has been enjoying spending his spare time playing Basketball for the Knights at Nova Academy. To incorporate his love for basketball I had him shoot some hoops during our session to help him relax and show off his moves. 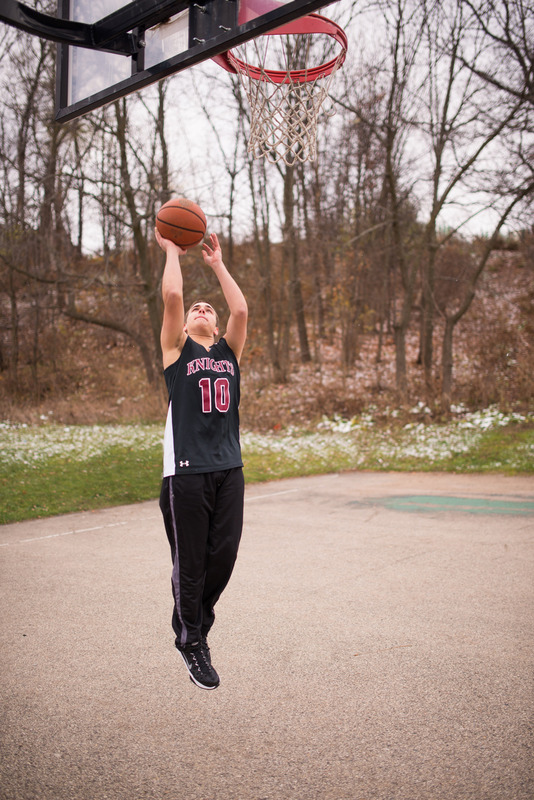 His basketball photos ended up being some of my favorites from the senior guy photography session. Noah, I know photos are not your thing but I hope you enjoy them regardless. Good luck on the rest of your senior year and this basketball season!